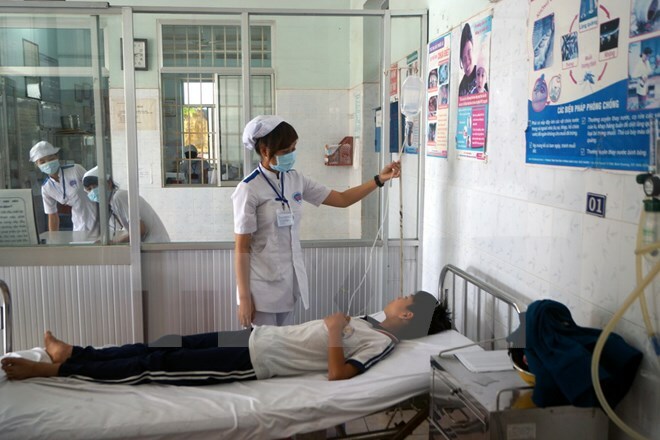 BINH DUONG (VNS) — The southern province of Binh Duong's Food Administration today suspended the operations of the Vo Thi Sau Primary School canteen, pending further investigation into a case of mass food poisoning. Sixteen of the school's students were hospitalised yesterday, allegedly suffering from food poisoning. The students presented symptoms of vomiting and stomach pains after eating lunch at the canteen yesterday. The canteen used foods supplied by Phu Nhat Hao Ltd, a company specialising in food delivery.